I am, once again, in the forest. An aqua forest… of dreams… caught up in an entanglement of roots, alert to the breath and whisper of rock, of clod, of underground river. As in the poem, Lost, by David Wagnor, I must listen… stand still… let the forest find me. 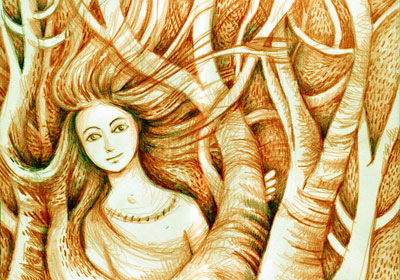 Before Christmas, I listened to a play by Kneehigh Theatre on Radio 4 called “The Wild Bride”. 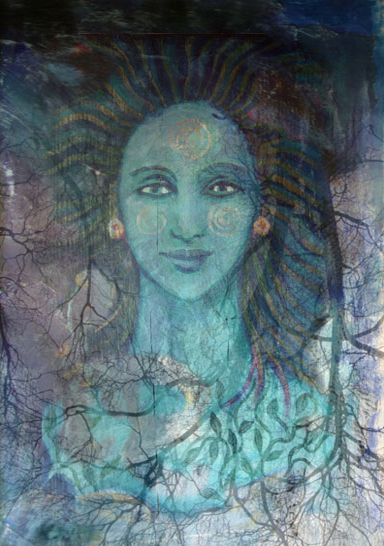 The story was based on the fairy tale, The Handless Maiden and an overview of the tale can be read on the theatre website here. 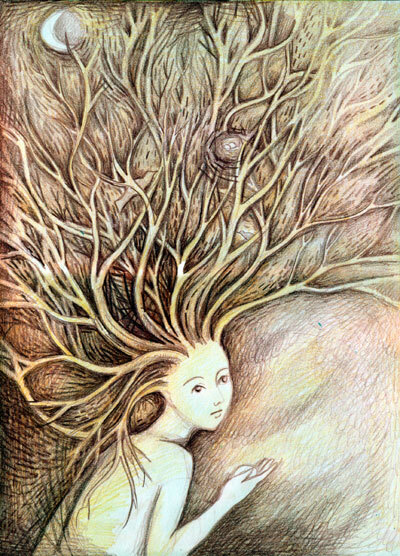 “Her dreams became deep rooted and full of forest”. Perhaps they represent a freer, more primitive self, a closeness to the wild spirit and nature we once had millenia back. Perhaps they simply remind us of the untamed child of our own past, I may have been somehow closer to nature then. 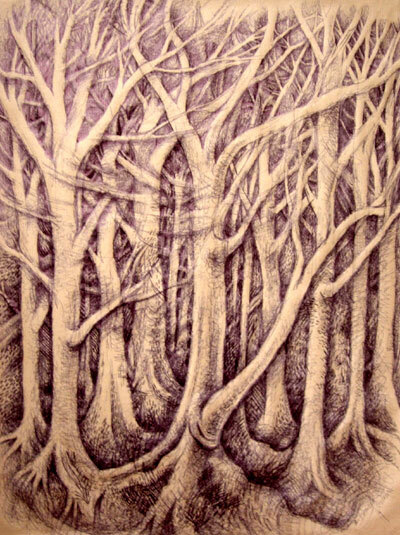 I took a biro, a large sheet of brown paper and inspired by Eva Jospin, doodled a forest. 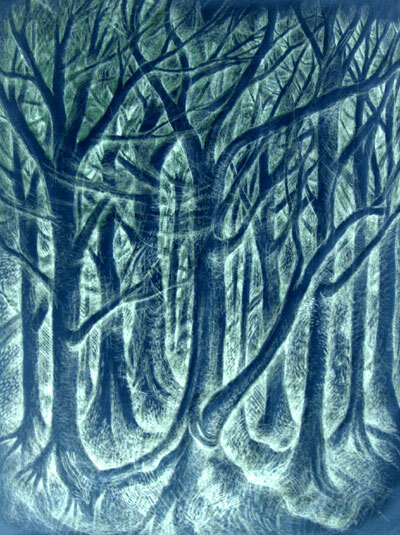 Here is my first Forest on Brown Paper and a photoshop-inverted one because I love blue so much. Wild child sketches follow.